Hi and welcome to the The Music Connection! 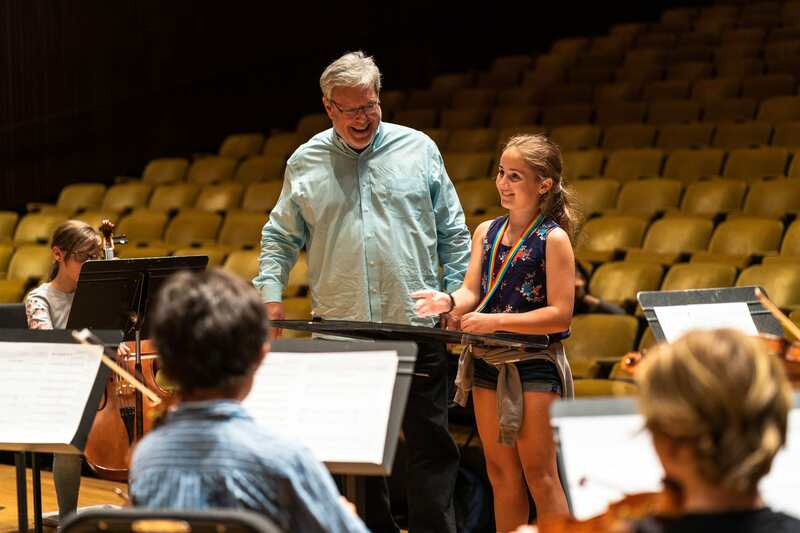 The Music Connection (TMC), in collaboration with the Berkeley and Oakland Unified School District, aims to provide free, supplemental music tutoring for young musicians in both individual and group settings. By doing so, TMC will provide young students with a strong foundation in music, which will help them develop teamwork and self-confidence. We are an organization that currently has about 75 tutors and continues to grow through our success within UC Berkeley and the surrounding communities. We provide free music lessons to students in the Berkeley community in many different forms. 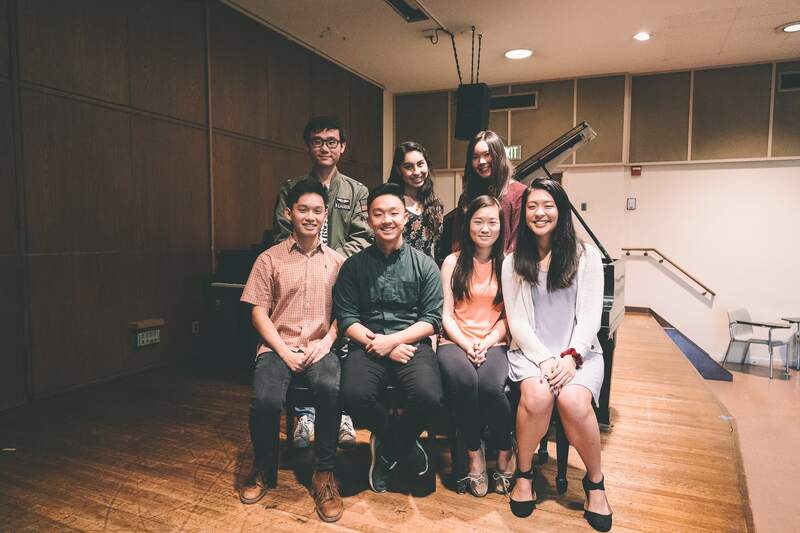 Our tutors are UC Berkeley students from a variety of academic backgrounds, but all with extensive musical experience. TMC is a way for students at Berkeley to become involved in the surrounding community through connecting with their students and sharing the expressive and creative gift that is music. Tutors are given the opportunity to connect with the community, practice music, and hone valuable teaching skills. Our programs include In-Class Tutoring, After School Tutoring, and Private Piano/Vocal Tutoring. We emphasize tutoring qualifying or low-income students who may not have ready access to music lessons. TMC student conducts the UC Berkeley Symphony Orchestra during one of our College Music Days of Fall 2018. In addition to our three main tutoring programs, we also host free events for the local Berkeley community. Our three main events outside of our end-of-semester TMC Recital are College Music Days, Spring Music Festival, and Instrument Petting Zoo. For our College Music Days, we invite BUSD/OUSD students to visit a rehearsal of the UC Berkeley Symphony Orchestra or UC Berkeley Wind Ensemble and play along. 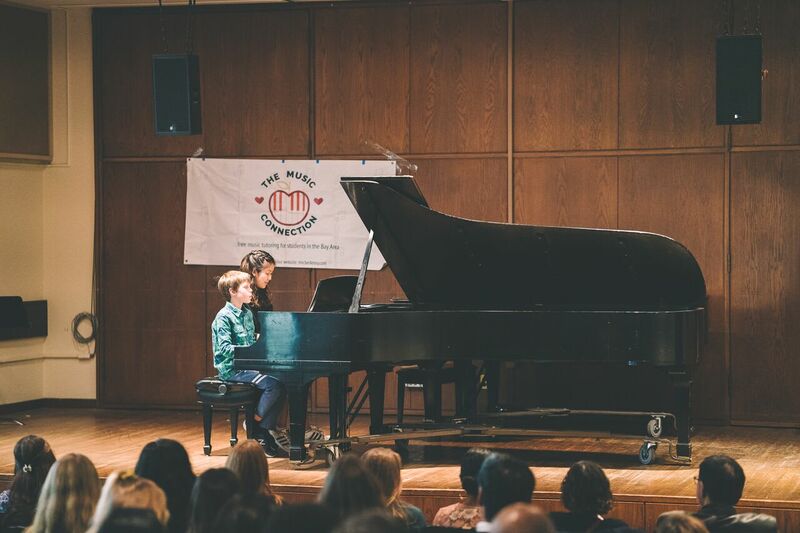 Every April, we host a Spring Music Festival, during which students can perform a piece for UC Berkeley Music Department faculty and receive feedback. On Cal Day, we lead an Instrument Petting Zoo, during which children may try out different instruments. One of our TMC students performing with his tutor Ashley at our Fall 2018 Private Piano/Vocal Recital. We hope to expand our reach and provide free private tutoring for instruments other than piano and vocal. We are also raising money to purchase more resources such as sheet music/music books to build a shared music library, and electric keyboards to rent to tutors. In addition, we hope to provide transportation (such as Uber and Lyft rides) for tutors to reach schools that are far from bus routes or not within a reasonable walking distance. 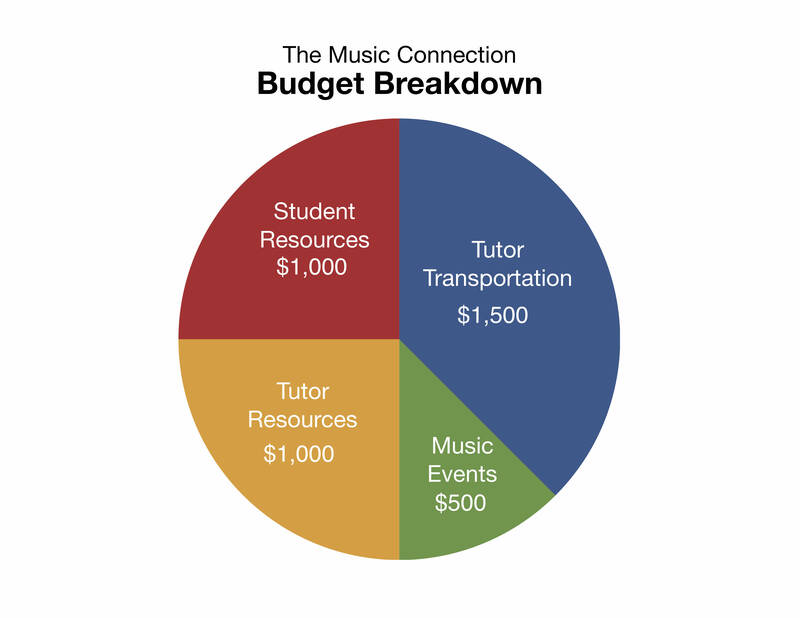 Your money will go towards providing our students both resources and access to communities that desire music education. Music education is currently a privilege, and not available to everyone. Oftentimes, music lessons can be very expensive and unaffordable for families and our goal is to bridge that gap to provide music to everyone. Music is a universal language. It has the power to bring people together and instill global change. It allows us to feel and make sense of the emotions we cannot necessarily describe with words. We in TMC have all personally experienced just how deeply music can impact one’s life. Our ultimate goal through TMC is to be able to share something that means so much to us, with the younger generation and the local community. Join us on our mission and help us bridge the socioeconomic gap in music education by making a gift today! The 2018-2019 TMC Executive Board! We will give you a shoutout on our Facebook page! We will write you a personalized thank you card and include a TMC sticker we designed! At our end-of-semester private piano and vocal recital (our biggest event of the semester), we will give you a shoutout! A one-hour facetime call with us! We will give you a private concert and play some of our favorite musical pieces for you through FaceTime!